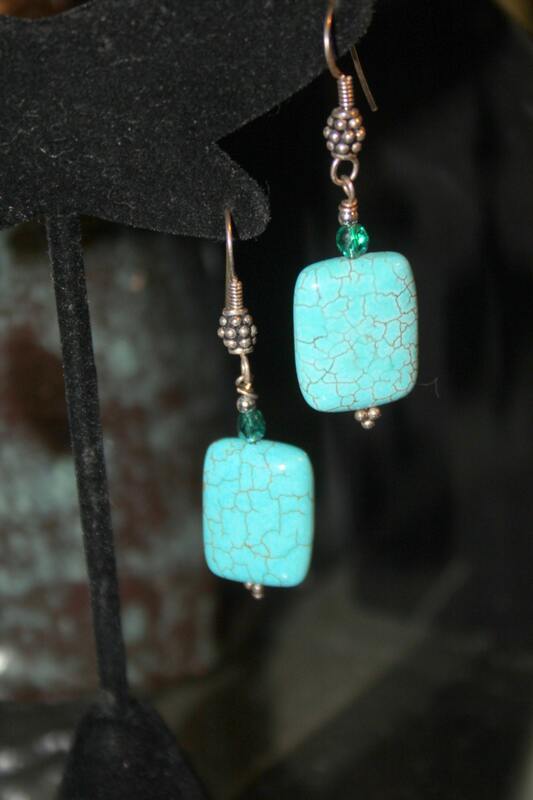 These earrings are made from turquoise colored, dyed and stabilized magnesite pillow shaped beads. They are not real turquoise. I only buy "turquoise" that is from certified dealers. The beads are spaced with Bali silver spacers and are topped with turquoise colored Czech glass beads. The ear wires are Bali sterling silver French hooks. The earrings are 2 inches long from the top of the hook to the bottom and are light weight. They have beautiful sepia colored veins running throughout. They look great with western wear or most any other style.